Farès is an anthropologist / archaeologist specialising in art-practice, visual perception, religion and the history of thought, with a particular interest in periods of economic and social transition. His doctoral research (University of Edinburgh / École normale superieure) focused on aniconic and iconoclastic traditions, drawing upon studies from the Sahara Desert, central Mediterranean and the Middle East. 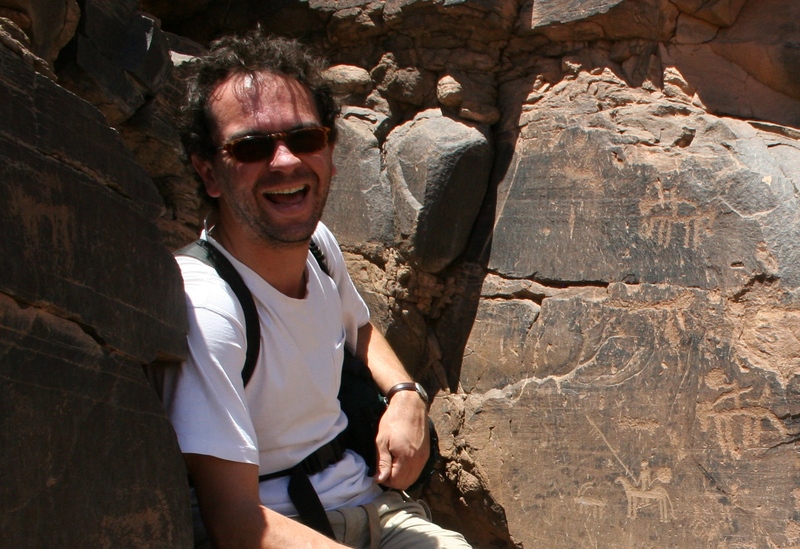 He has participated in various rock art surveys in Libya, where he has also supervised cemetery surveys and excavations as part of the Desert Migrations Project and was Field Director of the Ghadames Archaeological Survey (University of Leicester). He has co-directed mitigation projects in North Africa and Europe on a freelance basis for numerous clients. Farès runs his own travel business while remaining an active independent scholar and freelance consultant.